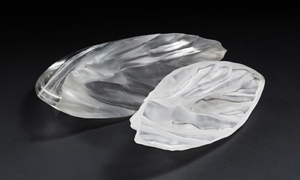 The third instalment of Wagga Wagga Art Gallery’s acclaimed National Student Art Glass Prize will be on display in the National Art Glass Gallery - 5 April - 29 June 2014. The Prize is a biennial competition launched in 2010, and established to reward and promote innovation and excellence in contemporary glass within the student sector. In this year’s exhibition, works by students from universities across Australia will be on display – and the winner will be announced at the official launch of the exhibition on Friday, 4 April! The success of the National Student Art Glass Prize in 2010 and 2012 has already established this competition as one of the highlights of the Australian art glass calendar. With so many exciting and fresh young artists on show, it’s an unmissable opportunity to find out what the future of Australian glass has to offer. 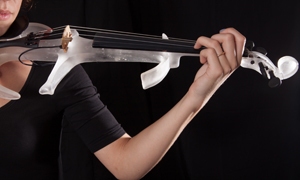 Casting, fusing, engraving, and many experimental techniques – these are glass artists who push beyond the mainstream to explore new skills and concepts. 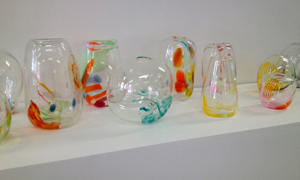 “Wagga Wagga Art Gallery is very excited to continue to offer this unique opportunity to emerging glass artists from across Australia,” said Michael Scarrone, Curator – Glass, National Art Glass Gallery and National Art Glass Collection. The prize is open to all Australian and international students studying art glass as part of a university course in Australia. The winning artist will receive two masterclasses and a conference at North Lands Creative Glass in Scotland, internationally recognized as the most prestigious institution for the study of glass art in Europe, and the winning work will be acquired for the National Art Glass Collection. 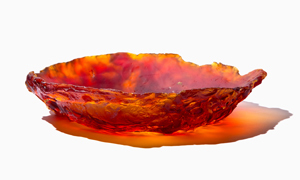 The National Student Art Glass Prize will be judged by renowned glass artist Elizabeth Kelly and Director of Sabbia Gallery, Anna Grigson, the winner will be announced by Frank Howarth former Director of the Australian Museum at the exhibition launch on Friday, 4 April from 6:00 – 8:00pm. The launch will be followed, on Saturday 5 April, by artist talks from the exhibition; and, also on Saturday, a lecture by Chris Boha, winner of the Prize in 2012. Creating art requires one to dig deep into the emotional undercurrent of their life and in my experience, part of what drives me to capture a moment in time is a memory of what I have lost. I made artifacts to represent the overwhelming grief I experienced in the wake of my grandfathers death. I am referencing architectural element like Transylvanian “Totem Poles,” to serve as memorials that illustrates stories of my childhood and commemorate 3 family members. For an artist, there is perhaps no greater challenge than to embody an emotion, to give voice to the ineffable, to bring form to the formless. The Souls of Everyday Objects explores the unseen essence of contemporary objects, and surveys the influence that objects can have on contemporary society. 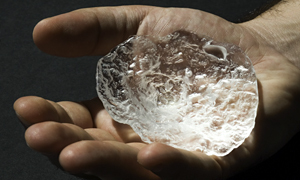 The outer surfaces of different everyday objects are cast as glass fossils using the ancient method of pate de verre. These objects are then placed within the museum context as anthropological specimens, uncovering the objects’ characteristics, as well as the relationships that humans experience with objects. I grew up spending a lot of time with nature exploring above ground, underground, on the water & under the water I have found discarded plastics in all of these environments & always held distain for the plastics but my artistic sensibility held an aesthetic interest in the visual impact of the materials. 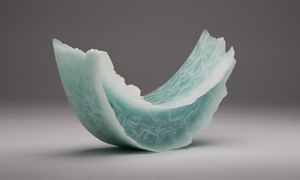 Looking past the cultural concepts verging on object racism that exist, I use cast Bullseye glass to reinterpret the culturally deemed social role by manipulating and translating the aesthetic capturing a frozen moment of the forms. I provide a longevity, creating a fossilized relic of remnants produced by our modern society, which transcend the previously prejudged role. 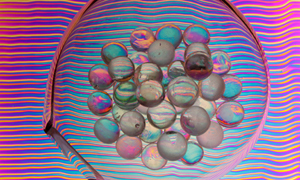 Glimmers of Light explores the use of light diffused through dichroic glass and handmade clear spheres that I placed inside a glass bubble. The refraction of light and the subsequent reflections change as you move around the piece, thus giving a different view from each perspective. This is an authentic expression of my creativity. Structures and systems are in the focus of my artwork. Our world is created by many structures, which try to keep this fast moving world in order. Visible structures like streets and bus timetables and invisible connections between everything what exists but also thoughts and memories. Everything depends on each other and influences each other. 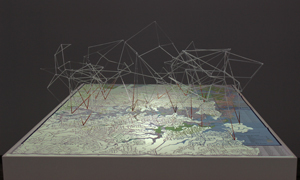 In this work I combine the inner structure of Sydney with a personal three-dimensional structure out of clear glass rods, which represents my memories and thoughts while I was in Sydney. 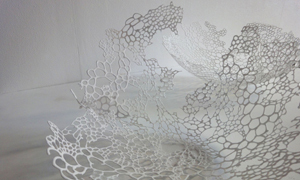 My work is about the connections between the human body, nature and architecture. I seek to explore the ambiguous, visceral and beautiful qualities of these themes and the relationships between them. I draw inspiration from the structures of science, medicine and religion. I make lost wax cast glass sculptural work that is a mix of movement and growth, rich in surface grains and evocative of the body and nature. I am interested in physical and suggested ideas of mapping space. I explore abstract structures and aim to create systems of relationships and representations for an emotive world. My process uses pâte de verre components assembled into three-dimensional images that play with shifting colour and textured light. I draw from the Australian landscape for a sense of colour and the order and structure of suggested forms in architecture. Colour and pattern are key elements for my practice and I aim to create works that are intended to intrigue the viewer and offer another perspective to an imagined place. There is great satisfaction in taking the mundane and undesirable and presenting it in a way that facilitates conversation and perhaps a moment of new perspective and appreciation of everyday life. I am interested in the complexity of the individual and the difference between private and public spaces and how we at times unconsciously contradict or act against our conscious intention. 'Accumulation' was inspired by looking at a build up of domestic detritus as a witness to the passing of time and the representation of unconscious, repeated patterns of movement giving insight into little seen/private aspects of an individual. My work is inspired by notions of physical and psychological wounds and scars, caused by emotional trauma such as grief and bereavement. 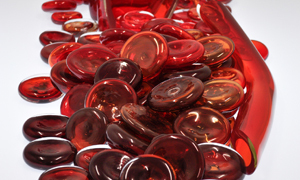 Glass is an essential material for my work as it can be wounded much like human skin. In this body of work I use its transparent and translucent qualities to reveal what distress lies within. Starting from physically roughed and ground surfaces, I fill carved voids with a paste of finely ground glass, and use the heat of the kiln to restore the surface. 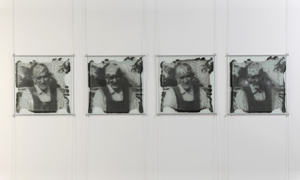 My work seeks to give shape to the phenomenon of memory and the act of recollection. I am particularly interested in episodic memory: our conscious recollections of people, places and events which are often linked to the domestic, the family and holidays. Moments Passed explores the ways in which memories shift, change and fragment. It highlights the weight of importance which fragments carry with them as the building blocks or cornerstones of narrative. This work references the nostalgia of the locket and the way in which memories can be contained and carried. 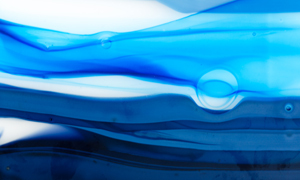 My creative works are glassy, rigid, un-flesh-like in their texture yet the transparency of glass - its ability to look or ‘see through’- invites the viewer to reflect upon their experience of body. The internal body has become visible and its integument transparent through the use of MRI, x-rays, ultra-sounds, amongst other technologies. One millilitre of blood contains 5,000,000,000 red blood cells. Can one even imagine how many red blood cells are within our own bodies? Exploring our own embodiment by examining the body as fragments, Fragments utilises the idea of the humble microscope slide, abstracting the microscopic – shifting to macroscopic – revealing the normally unseen. The chance to be enveloped by joyous wonder, to be taken away from the chatter filling our heads and the endless tasks filling our days, is rare and difficult to achieve for many of us – a still moment of just appreciating what we have. My current work is informed by my travel to the Antarctic coastal environment in 2008 and 2009. These flat wall panels are influenced by the Antarctic natural colours, line and pattern, the rhythm and fluidity of the sea, the contrast of the intense blues and greens of the oceans and the very many shades of white in the ice and snow. I live to holiday. How am I different on holiday and why does Holiday Me seem to slip away so quickly when I return from my favourite place – the shack? Holiday Me is intrinsically connected to being in Shack Mode, which I have come to define as: A blissful state of being and alternate reality obtained through holidays in the great Aussie cultural icon – the rustic old beach shack. Shack Mode becomes a metaphor for freedom, liberation from social constraints and materialism, a reconnection to nature and people, and a sensory realm where new emotions and ideas are possible. 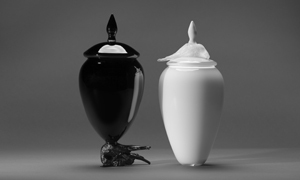 Examining the act of collecting and domestic decoration, this work uses the language of funerary urns to explore ideas of emptiness, futility and mortality. The vessel becomes a metaphor for the body or the individual. Proud and solemn, they watch over us like knowing loved-ones. As the form of the urn suggests, emptiness and sadness haunt the objects we surround ourselves with, becoming an ever- present vanitas to our daily lives. 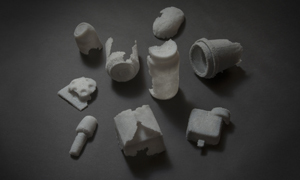 This work is a meditation on private identities expressed through the things we ‘line our nests’ with, the material debris we will eventually leave behind, gathering dust. 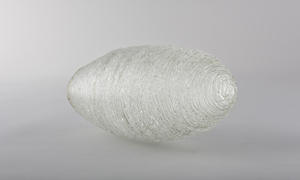 My work explores the materiality of glass. The interest with this piece was to research different effects of an intrusive material. In this case, the ink of a digital print was fused in between two pieces of glass. 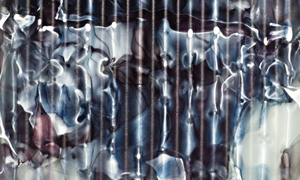 This piece investigates memory or memories of a single event revisited multiple times and how the experience of the present changes the recollection of the past.The premise was that using the same print settings and same firing program would yield different unexpected results each time because of the ink trapped between the two pieces of glass. Memories with time become fluid and thus hard to differentiate from one another. 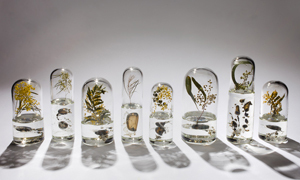 My work is inspired by my childhood memory of collecting, and by the aesthetic qualities of scientific collection. The works of art that I create are an iteration of the collection of my adult years, and an attempt to capture the sense of wonder experienced in childhood. Through my observation and study of life cycles, more specifically of plants, I realise life’s fragility and preciousness. Death supports life. Decay leads to growth. In nature nothing is wasted, and every death provides nutrients and sustenance for life to thrive. My study of life cycles allows me to examine mortality, and realise there is beauty in the fleetingness of life. One man’s trash is another man’s treasure: On a whim during my final semester at Sydney College of the Arts, I combined a few pieces of unwanted coloured glass in the hot shop. Without any idea or process in my head I began to blow and create. I thought this idea of taking unwanted glass and turning it into practical forms was alluring.The result is a collection of vessels without symmetry, balance or control. Each vessel was made ‘within the moment’ and the glass was in control and I was only the tool to help the glass grow and develop. While making art works with glass, I ask myself these questions over and over. What is the reason of necessity that “it must be glass” However, my intention is neither to conquer the material nor to be puzzled by its uncontrollable properties. There is a certain interplay between the artist and the material that I am focused on allowing within the development of the work. With each work I aim to develop new expressions that spark from both the possibility and impossibility of this material. Thus, my glass works culminate in the notion of the exchange between my tacit practice, and the materials and process that I use. 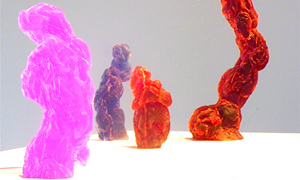 This body of work is an exploration of hot-forming and cold-working processes on glass which has resulted in a series of complex sculptural pieces. By using such qualities of glass as its ability to capture movement, its fluid-like appearance, translucency and opacity, solid and malleable states, I want to show how glass can be used to represent intimate and romantic relationships that avoid clichéd representations of love. With references to the beach, I have encapsulated two bodies formed around each other with a sense of movement to them and simultaneously capturing calmness and tranquillity. 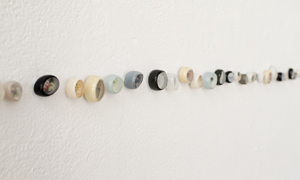 'This work is derived from a childhood infatuation with insects of all kinds. More specifically, the moth and the transformation that takes place during its short life span. 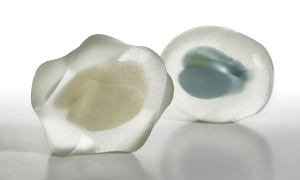 The cocoon is a remarkable entity… a silk shell, fragile yet built to protect and house such complexity. To me, the cocoon is a beautiful object that represents fragility, life, change and nostalgia. 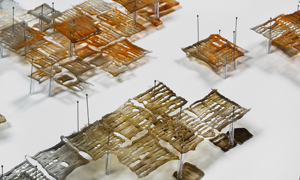 To recreate this object in glass emulates the delicate nature of these homes for change. Initiating from my love and curiosity of the Warrumbungle Mountain Ranges found in the Central West N.S.W. 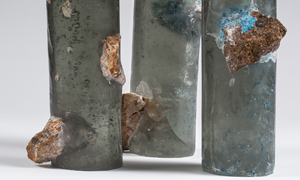 My work has resulted from exploring the tectonic forces of nature and the combination of conflating materials of glass and stone and pushing some of the assumed boundaries of my field. The form of a cylinder as relates back to the core sample that geologists take while they are investigating the ground. This is appropriate, because I am using samples taken from the landscape and creating my own samples. The cracks that form and move around the Core Sample series relates back to the core sample itself through shape and the “sediment lines” or cracks. My work Silence draws on my skills as a glassmaker as well as on my own background in furniture and woodworking. It directly references and attempts to explore and explicate the material nature of the creative process. 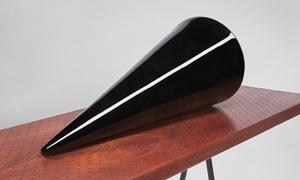 The hard shiny and precise black surface of the glass is contrasted and amplified by its relationship to the softer more earthy qualities of the wooden ‘workbench’. The callipers reflecting the exact angle of the glass form become a symbol of the skill and precision involved in the process of making. Silence aims to capture and communicate not only some of what is involved in the making process but also the tentative state of rest and anticipation of an unused tool. In 2003 Israeli incursions during the Second Intifada brought devastation to many Palestinian centres. Images of Arafat’s compound being bombarded by the Israeli Defense Force abounded. Years later when I visited Ramallah I found a new city, patched, rebuilt, restored. The mill had actually been destroyed in the First Intifada, but was one of the few buildings that, being abandoned, still sported its scars. In casting the holes left in its walls by bullets, each meant to target a person; these fragments of a moment are made material, bringing to bear the physicality of the conflict.